Video games for kids can often be a controversial topic, especially as we're often looking to limit our childrens' screen time rather than add to it. 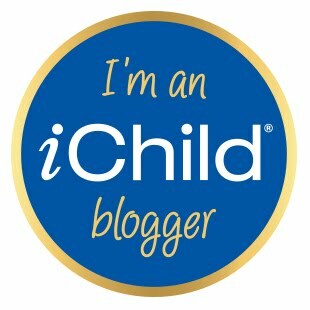 However, I think that if we're playing the right video games they can be lots of fun and used as a tool for learning. And that's where the LeapTV comes in. The first thing that I like about the LeapTV is that it can be played with in an active way, and that this doesn't require multiple controllers. 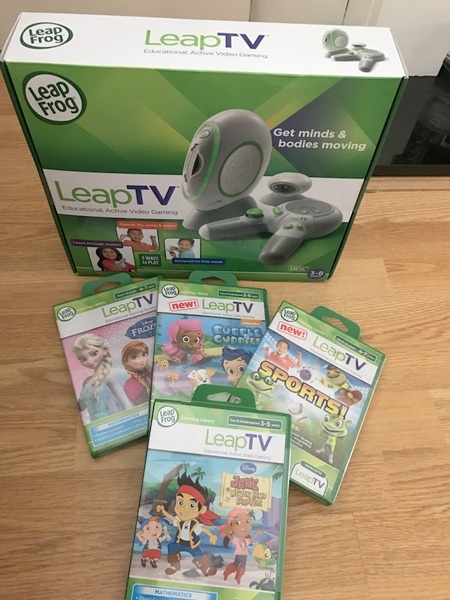 The controller for the LeapTV can in fact be used in 3 different ways, one in the traditional way, secondly as a pointer and finally it can be put down and the game can be played just with body movements. By having multiple ways to play within each game the kids are constantly challenged to move in different ways and to keep active whilst they play. I think that the thing that we worry about most with video games is watching kids zone out and sit still for ages whilst they play, but with the LeapTV I found that the kids were constantly up and about and trying to figure out how they need to be moving for each game. I also love that the games themselves are educational. The games that we were sent to go along with the LeapTV were Sports which is a maths game, Bubble Guppies which is a science game, Jake and the Neverland Pirates which is a maths game, and Frozen which is also a maths game. This means that concepts that can be difficult to work on with the kids at home can now be done in a way that they find interesting and different. We worked on ordering numbers, adding and taking away, sizes of numbers and learned so much just from trying each of the games out. It's also fun for the whole family, so on a rainy day or when the kids aren't feeling very well it's a great way to spend the day and to get us having fun together. Of course video games will never replace running around outdoors or playing other active games together, but I definitely think that they are worth looking at as an addition to the games we play at home when there isn't a chance to be active in other ways. And the kids think it's a real treat when we get the LeapTV out, without even realising how much they are learning from the educational games, which is a real bonus!